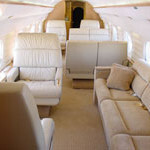 Aircraft Interior for Private Jets - Aero-Nasch Aviation, Inc.
Aero-Nasch Aviation, Inc. has been in business since 1986, next to the Van Nuys Airport (VNY). The Van Nuys Airport is one of the world’s busiest general aviation airports and is used by private, chartered, and small commercial aircraft. 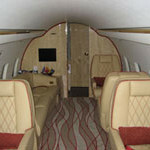 We believe in “Quality First” when it comes to our customers and the interior work performed on any aircraft. Interior Refurbishing – Complete custom refurbishing and modification services for business jet interiors including seating, carpeting, cabinetry, fixtures, air stairs, runners and other jet interior services. 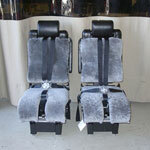 Seat Upholstery – Premium quality handmade custom foam work and upholstery for seats, divans, and throw pillows. Carpeting – Custom designed carpets for all interior areas. 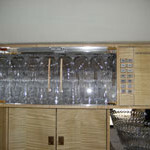 Cabinetry & Woodwork – High quality modification, re-veneering, repairing and refinishing for all types of interior cabinetry and fixtures. 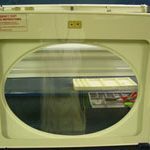 Interior Maintenance – Complete periodic service &cleaning of window shades, seats, carpets, galley, and interior fixtures. 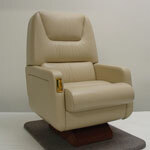 Interior Removal & Installation – To facilitate mechanics access for maintenance and inspection. In-House Workshops – All shop work performed by Aero-Nasch Aviation, Inc personnel in our own facilities next to the Van Nuys, CA Airport. 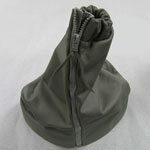 Custom Thermoforming – We specialize in short run custom thermoform molding. Use your molds or we can make them for you. Fabrication and Welding – In-House sheet metal fabrication and welding with sheet, tubing, & bar stock materials. We can design, engineer, cut, bend, form, Heli-Arc weld, braze, polish, or prep for plating or painting. Window Shades – Window Services. Complete window repair, cleaning, color change, & lens replacement services available for aircraft windows. 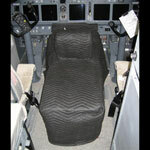 Hydroloks – Aircraft seat hydroloks. Stocking supplier of P.L. Porter Hydroloks. We stock most models of SLO2300, SLO2500, & LL series Hydroloks along with a wide selection of cables and hardware. If your interested in one of the aircraft interior services mentioned above or have a custom jet interior job in mind, please fill out our request for proposal form and our highly trained aircraft sales team will contact you immediately. If you want to reach us by phone, contact Aero-Nasch Aviation, Inc. at 1-818-786-5480.